Overdose deaths linked to heroin and opioid abuse will soar past 400 this year, more than double the number of people who died the same way two years ago, New Hampshire Attorney General Joseph Foster said Tuesday. Foster addressed a legislative task force as the state looks to rein in a growing abuse epidemic. Three hundred people have already died from drug overdoses, most from heroin and the powerful painkiller fentanyl, and Foster said the state's medical examiner anticipates the deaths not yet classified will push the total past 400. In 2013, there were 192 overdose deaths. Last year, 326 people died from overdosing on opioids. "Opiate abuse - and heroin and fentanyl abuse - is really our greatest law enforcement problem and our greatest public health problem, in my view," Foster said. Foster told lawmakers that his drug task force is involved in some kind of buy operation every day and the nature of the drugs make it a much more dangerous endeavor than before. Because fentanyl is so potent, Foster said his investigators have started carrying the anti-overdose drug Narcan in case they accidentally come into contact with it during a bust. 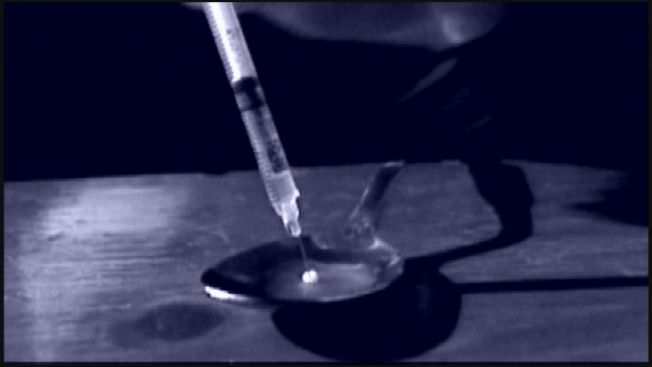 The drug task force was formed in November after Gov. Maggie Hassan asked for a special legislative session to tackle the drug crisis. She wants to create more drug court, strengthen its prescription monitoring program, beef up law enforcement and improve access to treatment and recovery services for addicts. Foster asked the panel to consider a $115,000 expense for a new prosecutor who would focus solely on drug cases and treat overdose deaths like a crime, pursuing charges up to reckless second-degree murder for someone who sold the drugs - especially fentanyl - that results in a death. He's also pursuing a federal grant to fund another drug prosecutor. Also Tuesday, the task force considered a grant program to provide state money to counties to establish or continue drug courts. The initial cost is estimated at about $3.1 million for the 2016-17 budget. Counties would have the option of creating a drug court and would have to match the state funding. Superior Court Chief Justice Tina Nadeau said trained staff in the specialized courts can help some high risk offenders break their addiction cycle, keep them from committing new crimes and protect innocent people from being victimized. She said shunting people into the prison system is ultimately more costly than the courts. Critics including the Drug Policy Alliance, a nonprofit that opposes the so-called war on drugs, argue that the drug courts are ineffective, expensive and don't keep offenders out of jail as much as supporters claim. In a 2011 report, the organization said the courts have made the criminal justice system more punitive to addicts, not less.